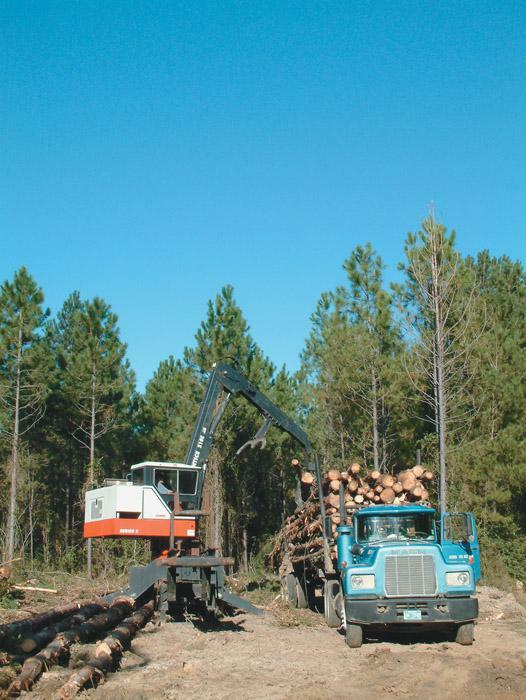 Southern Loggin’ Times’ December issue spotlights Alabama’s Don Taylor, who, with the help of Mead-Westvaco, has made the most of his decision to switch to whole tree chipping. 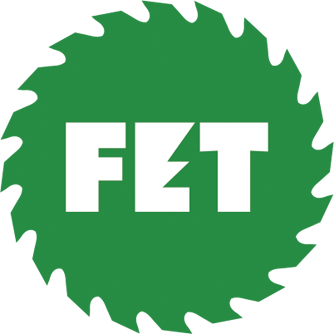 Also featured are Mississippi’s George Pearson, who has built a reputation based on his quality work and repeat business, and Florida logger George Alford, who boosts stand efficiency with the right tools. 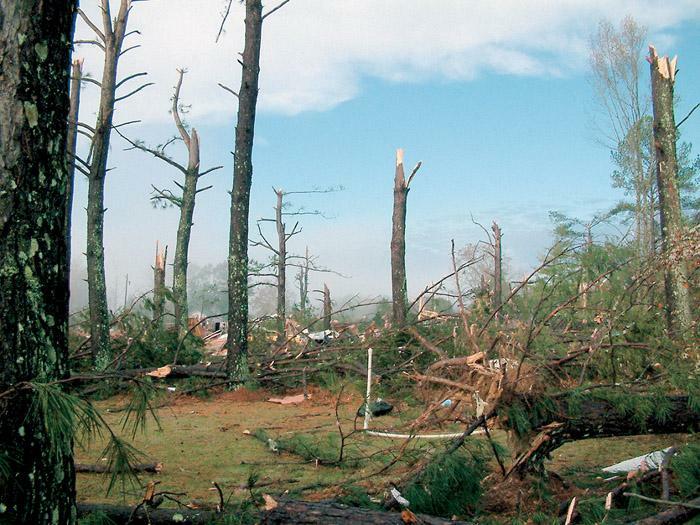 Southern Stumpin’ highlights the tornados that destroyed an Alabama community. I opened the back door around 5:30 a.m. to look out at the predawn horizon. Everything familiar was gone or dramatically altered. Broken trees drew a line between bluish sky and darker landscape as a slight rain fell. The garage, once located a mere 15 feet from the house, was scattered across the back yard. It had been lifted from its concrete pad, leaving my mother’s Jeep Cherokee practically untouched. George Pearson didn’t balk as Tropical Storm Isadore and Hurricane Lili churned up the Gulf of Mexico and headed for the Louisiana/Mississippi coast. 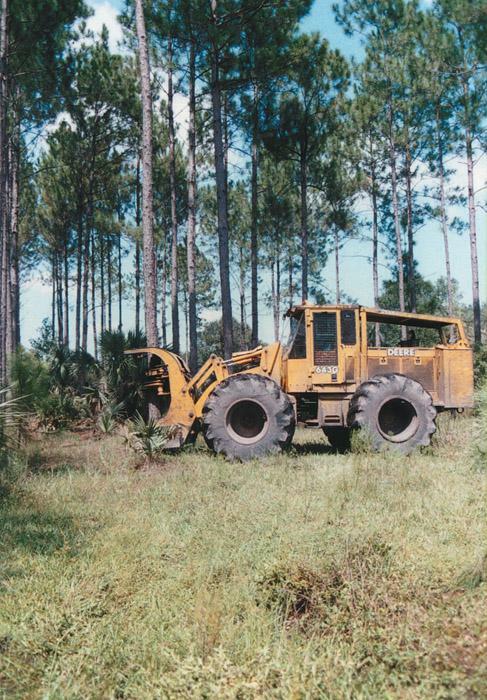 Like most Coastal Plain loggers, he’s got tracts set aside to work during the wet season. If predictions were right, this was going to be nothing but a big rain. And rain it did—Isadore alone dumped more than 20 inches of rain on the Gulf Coast. High timber prices and tight markets dictate close scrutiny of every log to extract the maximum value in that wood. That’s where logger George Alford, co-owner of Alford & Alford Inc., excels. Working mostly in mature plantation timber, the 50-year-old businessman knows that a wrong decision, say chopping a pole log into plylogs, for example, can quickly detract from the bottom line. A prime site has been secured for next spring’s All American Loggin’ Demo (AALD) near Tuscaloosa, Ala., and Nashville’s Brad Paisley has been signed to provide entertainment for the show’s companion charity event. The national show is set for Friday and Saturday, May 30-31. Located east of Alabama Highway 69 near the Big Sandy community and about 15 miles south of downtown Tuscaloosa, the large site features good road access, ample parking and a mix of hardwood and pine timber. 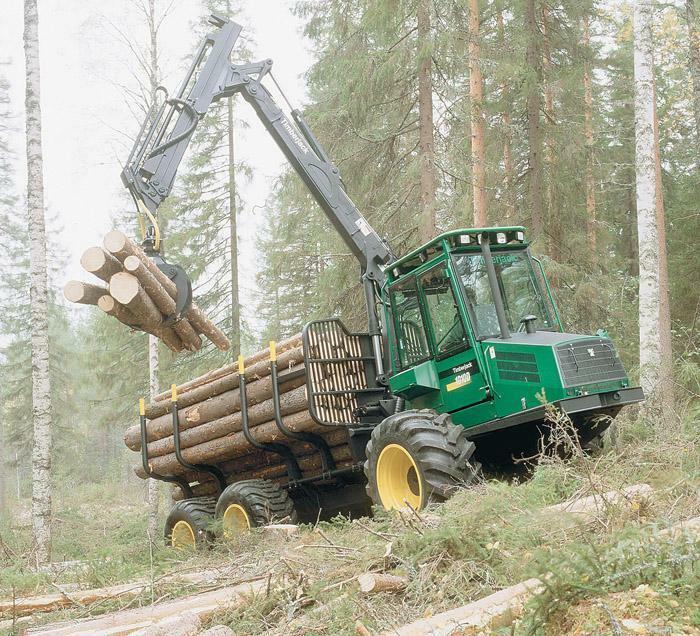 Timberjack introduces the 1010D forwarder with 115 HP JD4045, 4.5 liter, 4 cylinder diesel engine. The water-cooled, turbocharged engine features a heavy-duty radiator with coolant level indicator and recovery reservoir to prevent overheating. The suction-type cooling fan is enclosed in a guard to reduce damage in thick underbrush.